NASA’s inspector general has released a report on the development of the agency’s Space Launch System (SLS). 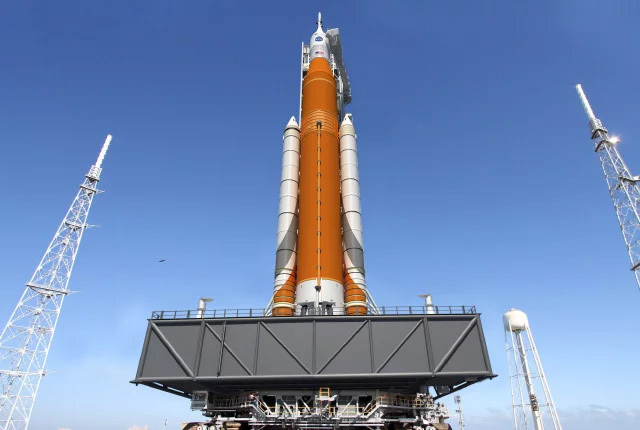 The report found that NASA’s rocket will cost far more than expected to build and will not be ready to launch by the initial expected date of June 2020. The inspector general’s report found that many of the development cost increases and delays were due to Boeing’s inability to meet production goals. Boeing was meant to deliver the SLS core stage in June 2017, but it now only expects to supply the component in December 2019. “Cost increases and schedule delays of Core Stage development can be traced largely to management, technical, and infrastructure issues driven by Boeing’s poor performance,” the report stated. NASA’s Space Launch System is designed to ferry astronauts on long-range missions to the Moon and Mars, and will be instrumental in realising the agency’s plans to build a lunar space station.